Fitch Ratings has upgraded on 18 August Greece΄s Long-Term Foreign-Currency Issuer Default Ratings (IDR) to ΄B-΄ from ΄CCC΄ with a Positive Outlook. 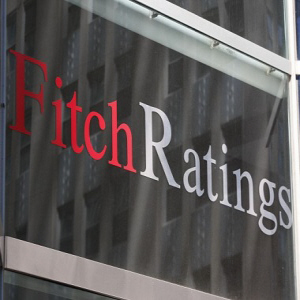 The credit agency notes that the upgrade reflects Fitch’s belief that debt sustainability will steadily improve, underpinned by on-going compliance with the terms of the ESM programme, reduced political risk, sustained GDP growth and additional fiscal measures legislated to take effect through 2020. Fitch also comments that the successful completion of the 2nd review reduces the risks that the economic recovery will be undermined and notes that the Positive Outlook reflects its expectation that the 3rd review will be completed without creating instability and that the Eurogroup will grant substantial debt relief to Greece in 2018. Following the upgrade, Fitch’s rating is at the same level as the S&P (B-) while Moody’s remains two notches lower (Caa2).